This durable, weather-sealed lens features aspherical and UD lens elements. Benefitting image quality, the advanced optical design features a Super Spectra Coating, which helps to suppress ghosting and flare in order to improve contrast and color accuracy when working in bright and backlit conditions. It offers 5 stops of image stabilization system and focuses smoothly thanks to its Nano USM motor. It has a nine-blade aperture, 45cm (17.7″) minimum focus distance and uses 77mm filters. There’s also a customizable control ring that can serve a variety of purposes. 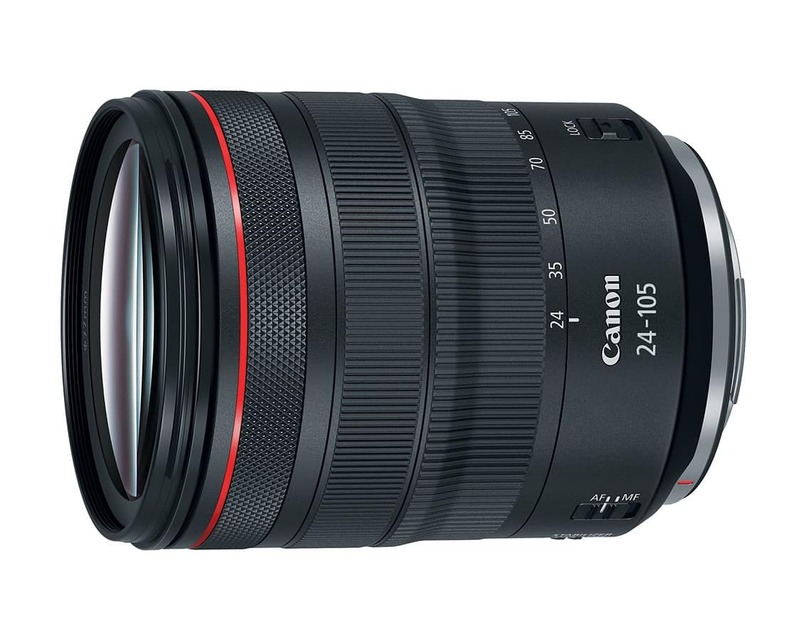 Canon RF 24-105mm f/4L IS USM Lens: $1,099 at Amazon, B&H, Adorama. Check out the Canon RF 24-105mm f/4L IS USM Lens Reviews Roundup ! Canon DSLR users might want to check out the complete comparison between the Canon RF 24-105mm f/4 vs EF 24-105mm f/4 II lenses. If you’re curious to know how these two zooms compare on the EOS R check it out! If we look at this just as a lens for a camera system then the cost is about right and the performance is excellent. So, for users of this system this is a very fine standard zoom and in fact pretty much the only choice at the moment. It absolutely delivers the goods. If we look at this as part of a new mirrorless system and ask is it good value for money compared to the current DSLR systems, then that is quite a different equation to balance. Weight and bulk are not particularly reduced, so any advantage is probably in terms of silent, mirror-free and therefore vibration free operation. Of course individuals will prefer the handling of one or the other and buy accordingly. Whatever our requirements are though, one thing is certain and that is that this is a very, very fine lens and Highly Recommended. I don’t get overly excited about lenses with a maximum aperture of only F4, but there’s no question that this is a very useful lens. You can do about 80% of your photography (or maybe 100%, depending on your needs) without the Canon RF 24-105mm F4L IS USM ever leaving your camera. I would recommend a good telephoto lens and perhaps a wide aperture prime lens to compliment this lens. At the time of this review, the only camera that it can be used on is the Canon EOS R, but that will undoubtedly change as Canon introduces more cameras supporting the RF mount moving into the future. I noted in my EOS R review that the EOS R (at present) seems to be more a delivery system for the excellent new lenses that the RF mount has unlocked. The RF 24-105L is a great place to start in building your new lens kit, though, as it manages to avoid many of the common pitfalls from such lenses and delivers above-average image quality and truly excellent autofocus performance.